Ants Laikmaa was one of the most important artists and organisers of artistic life of the first half of the 20th century. 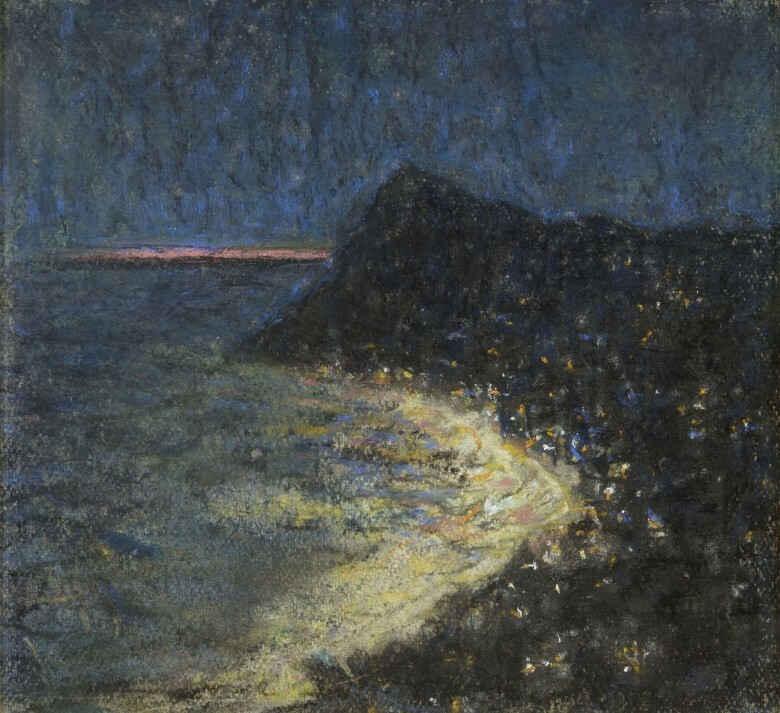 Pastel paintings set the tone in the body of his creative work as an artist: he created both landscapes and portraits in pastels. Among other things, the introduction of impressionism into Estonian art is associated with his name. Laikmaa studied briefly in St. Petersburg and for a slightly longer period in Düsseldorf, yet as of 1901, he lived in Estonia again. Two years later, he founded a studio school that developed into an important educational institution. Over the course of 20 years, nearly 800 people studied there (for instance among others Herbert Lukk, Johannes Greenberg, Paul Burman, Johannes Võerahansu and many more). 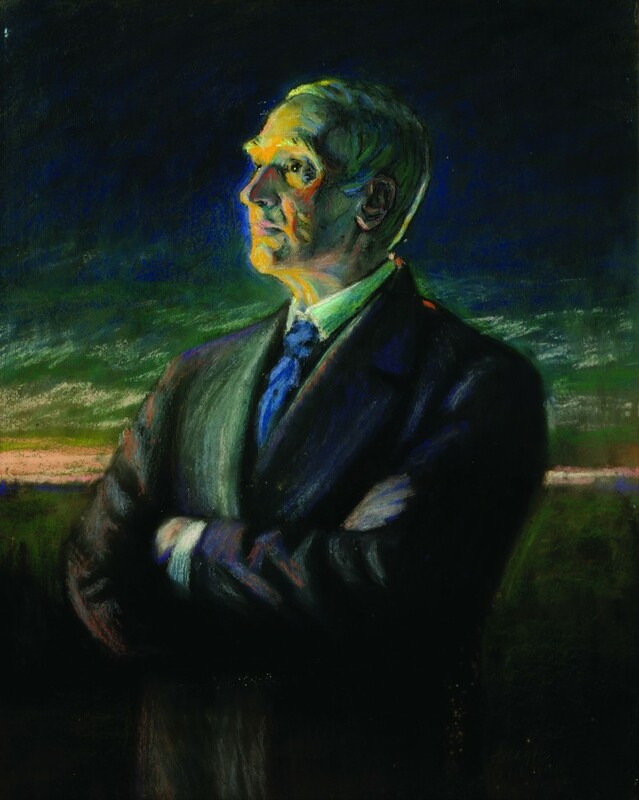 Both Laikmaa’s art and his activity related to art was inspired by nationalist ideals. He repeatedly portrayed noteworthy personages in his art (for instance Marie Under, Miina Härma, Fr. R. Kreutzwald, Estonian peasants, and so on) or depicted natural settings of his Estonian homeland. 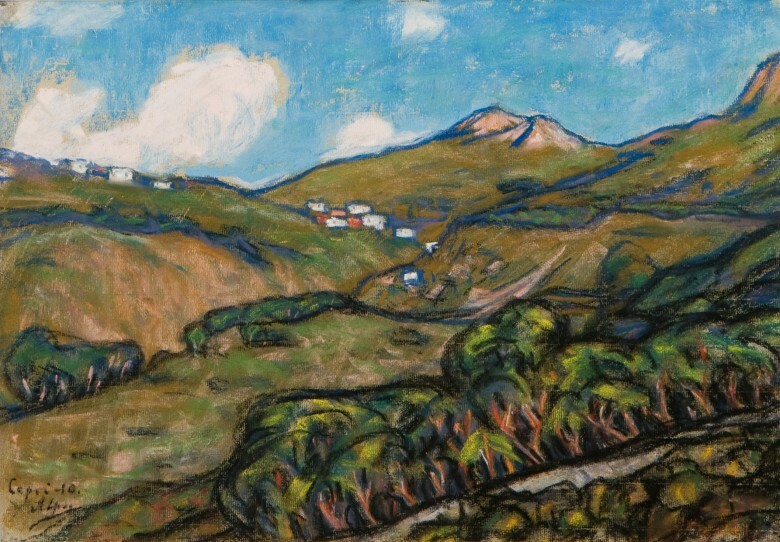 Laikmaa’s works completed in Italy, Capri, Tunisia and elsewhere in the early 1910’s form a separate chapter. From the 1920’s onward, Laikmaa rarely participated in exhibitions and withdrew from active artistic life in the 1930’s, closing down his studio school as well. 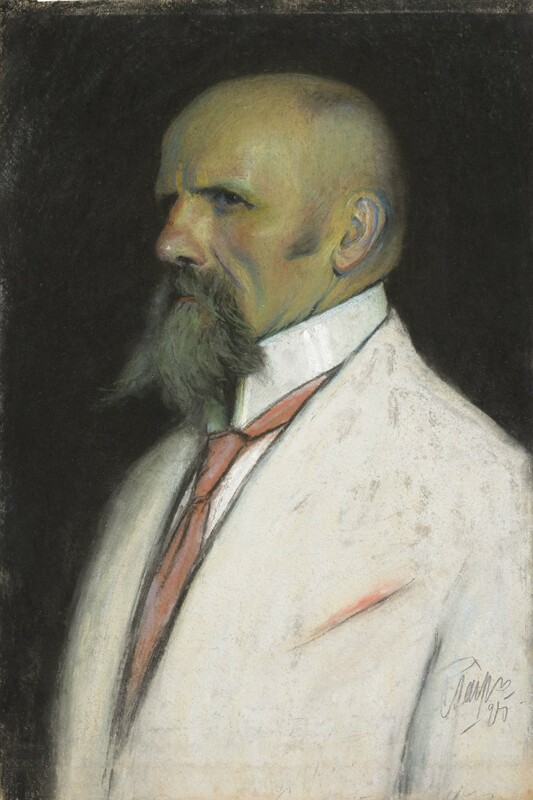 Ants Laikmaa was one of the figures who laid the foundations for Estonian artistic life at the beginning of the 20th century. It is difficult to overestimate his role as an artist, teacher and organiser of artistic life. He had studied in Düsseldorf, yet was disappointed with the conservative teaching there and shortly returned to his homeland, taking short trips to Paris and Munich as well in the meantime. He lived in his home neighbourhood at the time when he completed this painting and even though he was already 35 years old, his career as an artist was only then starting to take off. He worked a great deal and energetically, focusing now exclusively on portrait genre. Incidentally, it has been claimed that Laikmaa’s portraits completed at the beginning of the century introduced impressionism to Estonian art. A longing for nationalist art often bore Laikmaa’s artistic quests, which is why his works frequently also focused on conveying nationalist messages. Thus this work is also noteworthy: the subject is a distant relative of Laikmaa, a rather prosperous farmer with an above average education. Back then, the strongest bearers of Estonia’s aspirations to independence were seen as originating from precisely that social class. Heatedly, Laikmaa severely criticised the manorial system in his writings of that time as a system that oppressed the people, while at the same time creating portraits with warm-hearted thoroughness of people who stuck in his mind from among the farmers. Contemporary intellectuals, village girls and gypsies were also among the people he depicted, yet portraits of farmers form a separate series. Ants Laikmaa lived on the island of Capri for about a year. The island’s inhabitants fascinated him and he painted numerous portraits of them, but Capri Island’s landscape also captivated him. Laikmaa repeatedly depicted the seashore and cliffs. This work in its intimate format was probably completed on location at the impulse of the emotions of the moment. Laikmaa had an extremely romantic nature that the atmosphere of this painting also reflects. Ants Laikmaa was sent away from his homeland into exile in 1907 because of his political activity and while he first stopped in Finland and St. Petersburg, in 1909 he travelled to Western Europe, arriving in Rome, Italy in 1910. His yearning for Italy and interest in the Renaissance presumably influenced him to make just that choice of destination. He proceeded to the island of Capri in 1910, where he had planned to stay for a couple of days but where he stayed for a whole year. Laikmaa completed around a hundred works at Capri, which is a quarter of his known body of work. Several of his earlier works had been destroyed by fire and he sold a large portion of the works painted at Capri while he was still abroad. Many consider this to be Laikmaa’s best period. This work depicts the Bagni di Tiberio cliff massif towering out of the water. 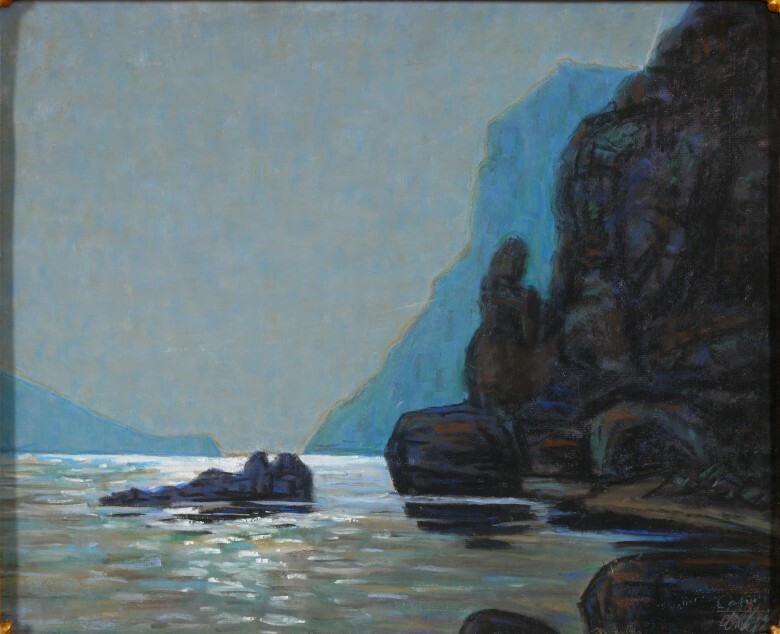 Laikmaa’s description also explains very well the painting’s impressive treatment of the cliff: “Paradise! Always clear blue sky, water around the island, the like of which I have never seen before: a darker and thereat clearer azure blue, on which the enormous cliffs reflect themselves”. Laikmaa appears to have some sort of particular relationship with the cliffs because he has written at the beginning of his stay at Capri: “There were many cliffs in Finland that I thought of as “my cliff” – here there is not yet one that I can call my own.” It is possible that the cliff with the tomb of Emperor Tiberius became that cliff that he could call his “own”. When Ants Laikmaa finally returned to Estonia from his long years of exile, the last stop where he spent a fair bit of time was Berlin. There he also met Nikolai Triik, who painted a well-known portrait of Laikmaa. 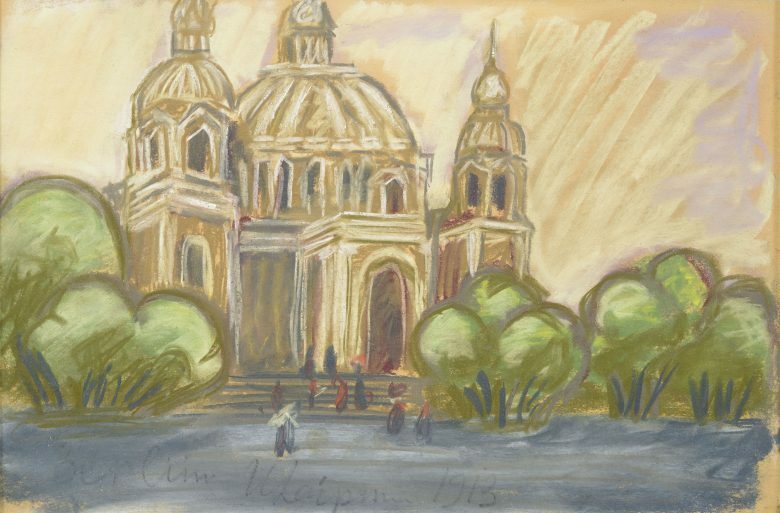 It is known that Laikmaa was in Berlin for the first time and consequently he tried to quickly record his impressions of the city using pastel technique as he walked about the city. This building is Berlin’s Cathedral, which at that time was one of the newer pearls of Berlin’s architecture (completed in 1905). The building was so big that it was considered the Lutherans’ answer to St. Peter’s Basilica in the Vatican. Laikmaa did not stop at merely admiring the building, rather he blended it in with the city’s surroundings: the trees of the park beside the church can be seen, and people are depicted walking in front of the church. Ants Laikmaa was abroad in different countries (Finland, Russia, Italy, Germany) in 1907-1913. By the beginning of the 1920’s, he had already lived in Tallinn, Estonia for several years, where he worked primarily as a teacher at his studio school and as an active organiser of artistic life. Additionally, Laikmaa often issued nationalist appeals in the press. He also actively continued his creative work (more than 50 works are known from the period 1919-1921) and occasionally he sometimes also participated in exhibitions. According to Vaike Tiik, the period that formed the high point in Laikmaa’s creative work lasted into the mid-1920’s, even though here and there, Laikmaa already encountered bewilderment on the part of the younger generation. He continued to propagate nationalist art but this theme no longer interested newcomers to the art scene. Laikmaa nevertheless continued at a high creative level and continued to work in pastels, his favourite technique. Many of his portraits are known, several of which depict cultural figures. "Selma" continues the tradition of depicting maidens in folk costumes, which had started back at the turn of the century already. In incorporates both the expression of nationalist views as well as decorative interest in painterly problems. 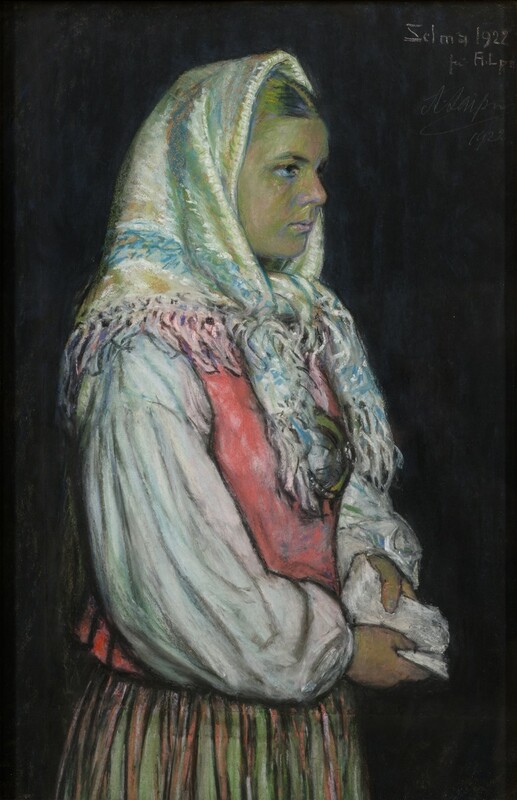 In the portrait, Selma is dressed in folk costume from Vigala, Laikmaa’s home region. For this reason, it can be assumed that the artist and the subject of his portrait knew each other personally. This painting achieved true grassroots popularity thanks to the colour postcard Laikmaa made in Germany in 1907, which reportedly spread to hundreds of homes. 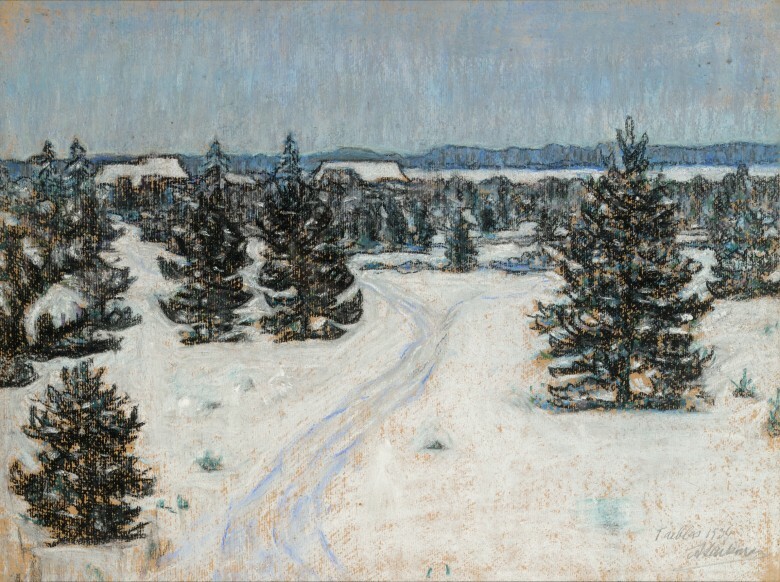 Over the years, Laikmaa painted additional copies of this painting and gave them to Estonian societies and institutions as gifts. At the same time, the ideologically charged nature of the work is also somewhat problematic insofar as Kreutzwald definitely did not hold out very much hope for the survival of Estonians as a people and culture. It has been written that Kreutzwald was rather sceptical in regard to the spiritual and intellectual development of his compatriots and the preservation of their distinct ethnic traits. Ants Laikmaa is probably one of the artists who painted the most self-portraits in the history of Estonian art. He frequently created portraits of himself, practically always preferring not particularly dramatic situations. 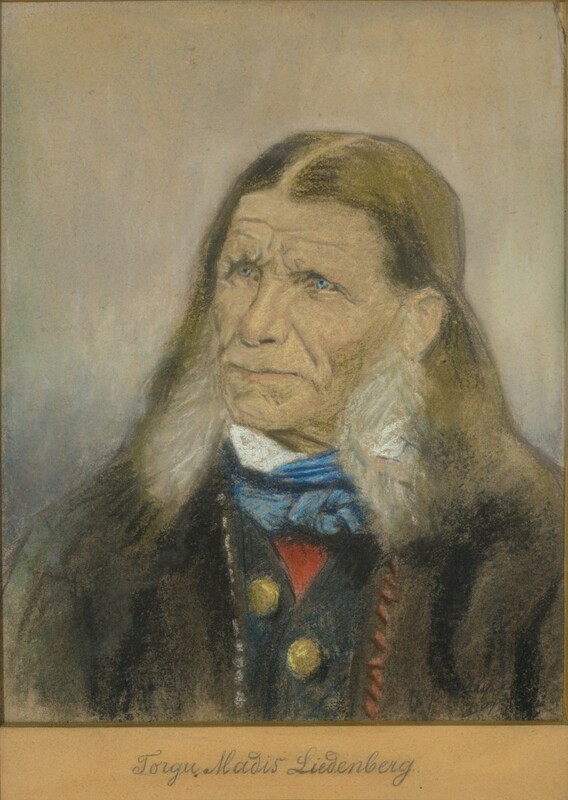 On account of this, Laikmaa’s depictions of himself are en face, directed straight at the viewer, and his expression is peaceful and somewhat reflective. This painting was created in 1925, when the artist was 59 years old. Here he has depicted himself as a vigorous man with a strong will to live. It is possible that this was a reaction to the art criticism of the 1920’s, which had already started considering Laikmaa’s creative work as belonging to the past. Here in this picture, however, Laikmaa reveals himself to the public as a strong man with a will to work. Laikmaa managed to purchase half the lot of the Tammiku farm in Taebla in 1915 with the help of a friend. He erected temporary lodgings already then, yet a long, costly and continuously interrupted project design process began at the beginning of the 1920’s. He closed down his studio school in the spring of 1932, sold off his lodgings in Tallinn and moved permanently to Taebla. Laikmaa had big plans for Taebla. He wanted to build a building influenced by traditional ethnic Estonian farm architecture there but also conceived room there for the summer homes of other artists and other such projects. Among other things, Laikmaa started working on redesigning overgrown pastureland as a park. He had trees thinned out and planted new trees, including young fir trees among others (which can be seen in this work), but locals had chopped them down for use as Christmas trees. “When the servant was sent out to the surrounding farms on reconnaissance under the pretext of seeking provisions, the occasional little tree was indeed found but nobody could get them to start growing again,” wrote Nirk. In the early spring of 1936 – the time when this work was probably completed – construction work on his house continued and workmen set about erecting the studio part of the house. However, financial problems continued to haunt Laikmaa. This work was probably one of the paintings that Laikmaa sold in order to acquire even a modicum of the means for paying off his debts.